We can talk about a revolution. 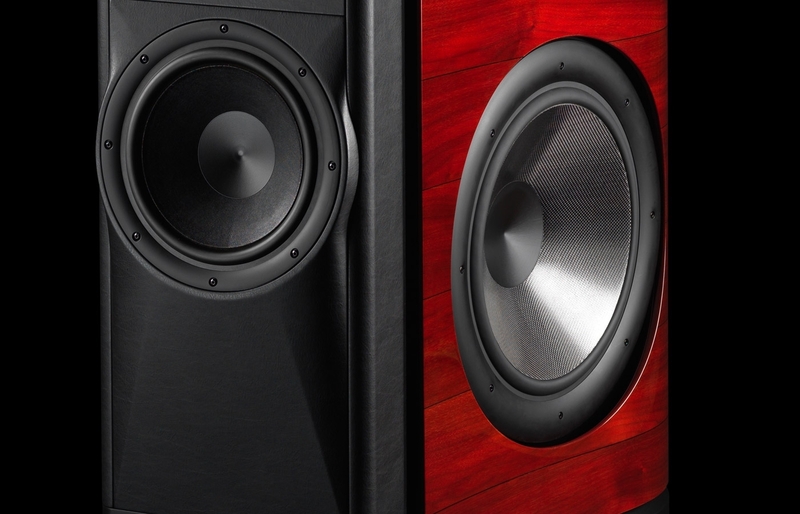 The Sonus faber is the “non plus ultra” of a dream. A concentrate of experience, intuitions, hard work and design that finds its meaning in rendering the music more vivid, natural and captivating.  A Sonus faber has never been previously designed considering such a multitude of “points of view”. Besides the variety of solutions, the result exceeds the sums of the elements involved. A design that re-echoes a know-how as old as music, together with a vision of what will come. 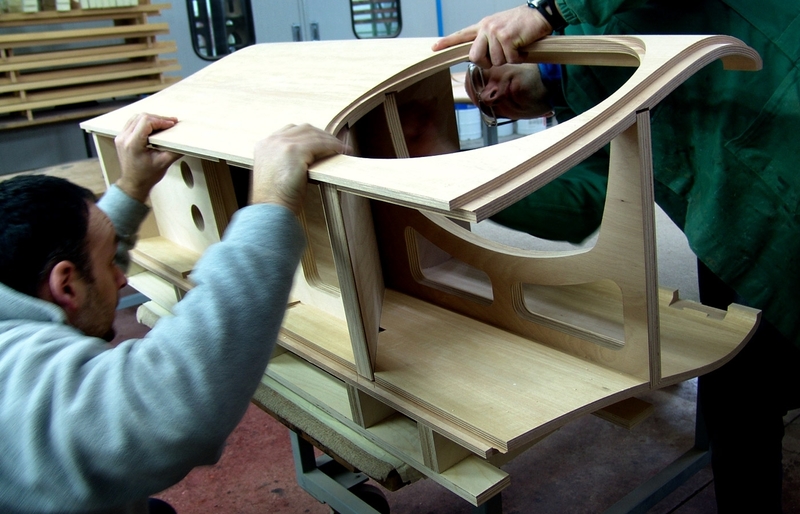 An authentic the Sonus faber. The “lyre” is the instrument par excellence of drama, and it is also a reference to the “lyre” shape. I was inspired by this fascinating instrument, together with musical references and universal myths such as the sphynx, with its air of mistery. Nothing in this object wasleft to fate; each individual part expresses a concept and has a precise function; in terms of sound genesis, its neutrality, a formal expression of quality. 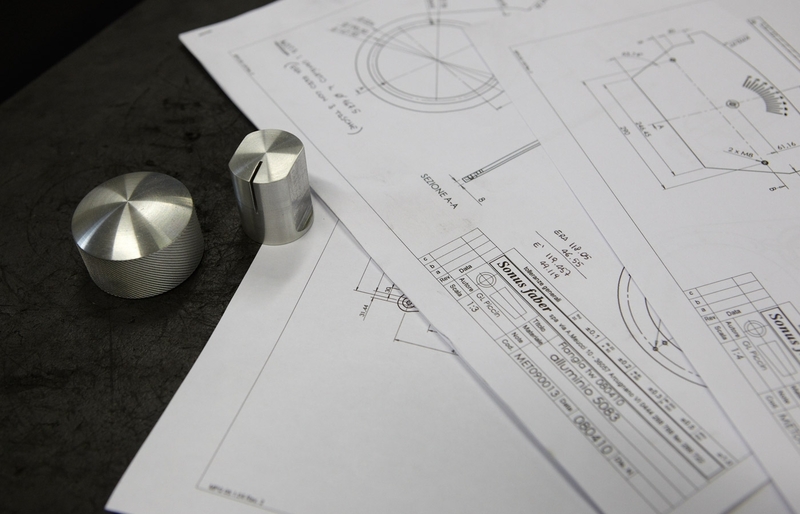 An important task, which has led to creating a starting point for a new generation of products. 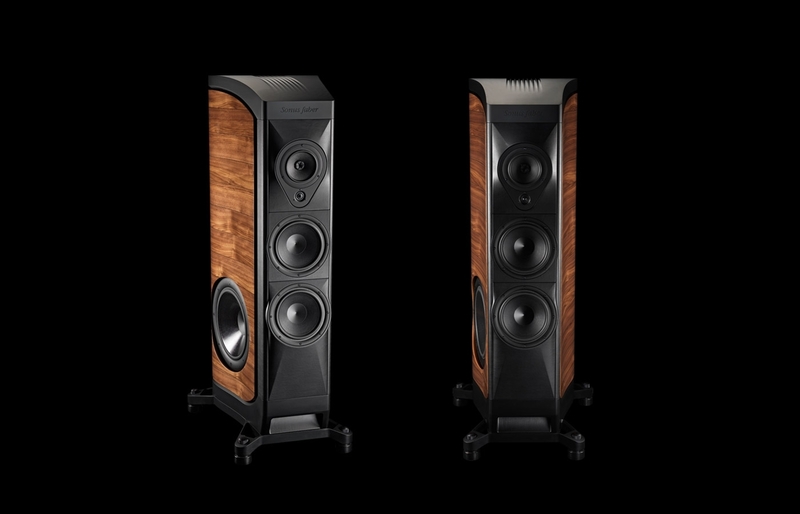 “The Sonus Faber” represents the most ambitious concept ever brought to life by the Vicenza based company. It was designed without compromise to be the very best representation of the ideals, legacy and vision of the brand. 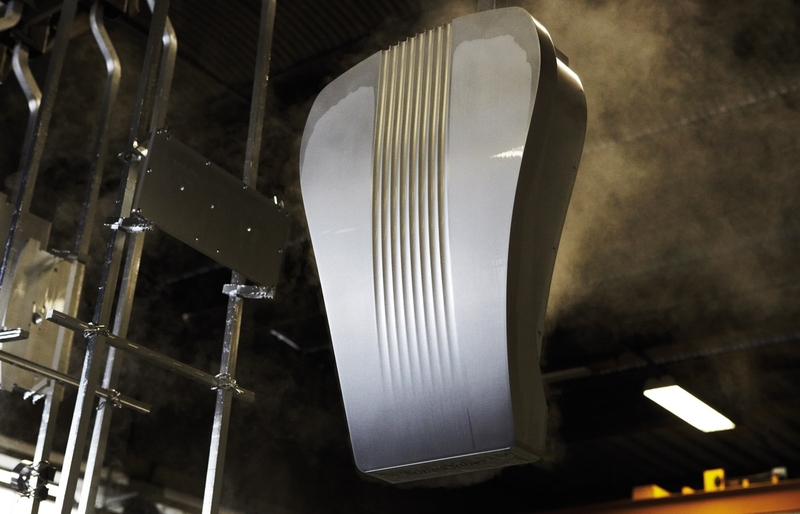 Countless man-hours, several years of development and the most advanced technologies were poured into it. 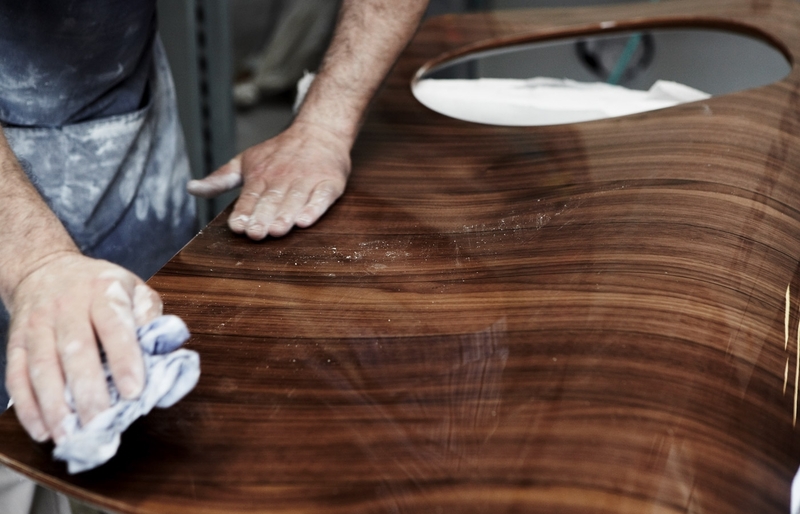 The result was beauty beyond expectation, an exquisite expression of rich tradition and cutting-edge innovation. “Lyre shape” design, dual side curvature, special cross grained okumè plywood, used in a double thickness constriction layer damped configuration, has significant advantages compared to the single curvature variant used previously, in terms of low coloration. Sub–structural plywood ribs are strategically placed for total rejection of spurious vibrations and standing waves control. “Anima legata” system, based on two clamshells, i.e. CNC anodized machined avional “vibration conveyors” (on the top and on the bottom of the cabinet) that “collect” the remaining structural micro-vibrations coming from the cabinet walls and the transducers, like the parabola of an antenna. The two clamshells are rigidly connected by a special steel rod, a high speed mechanical interface, the “Soul Pole”, that concentrates the micro-vibrations to the “Multiple Tuned Mass Damper”, a special custom device optimized to critically damp structural resonances, by oscillating in anti-phase. 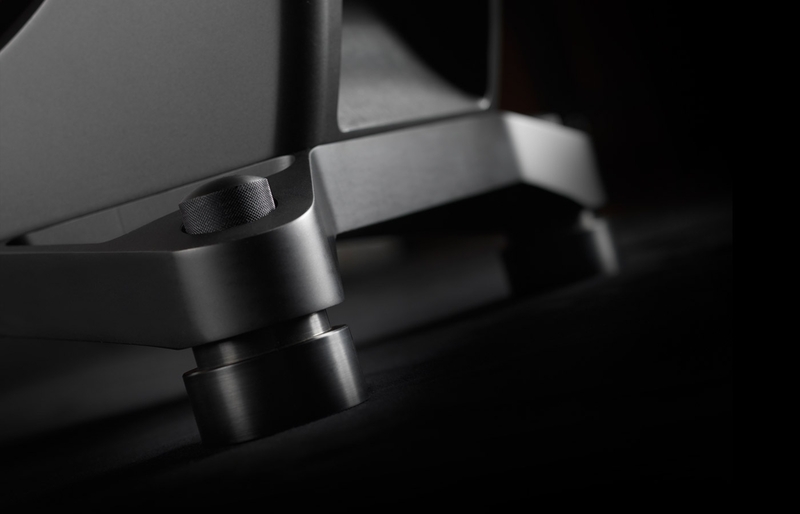 The enclosure is decoupled from the floor through a patent pending suspension system, eliminating any acoustic feedback and any vibration transmission to the listening room. 29 mm ultra dynamic linearity hybrid Neodymium/Samarium-Cobalt Larsen/Goeller ring radiator, viscoelastically decoupled from the main baffle board. Implemented with a natural wood acoustic labyrinth rear chamber, with a mechanical anti-resonator designed for this application. 180 mm cone neodymium magnet system driver with the 1.5” voice-coil of the “well hung” type chosen for the advantages of both the “under hung” and “over hung” designs. Special custom blend cone made of traditional cellulose pulp, papyrus and other natural fibers developed according to the most natural sound.The basket is thoroughly optimized to eliminate any resonance, fully CNC machined from solid billets of Avional and Gunmetal. The combination of the two different metals allows eliminating any mutual resonance. 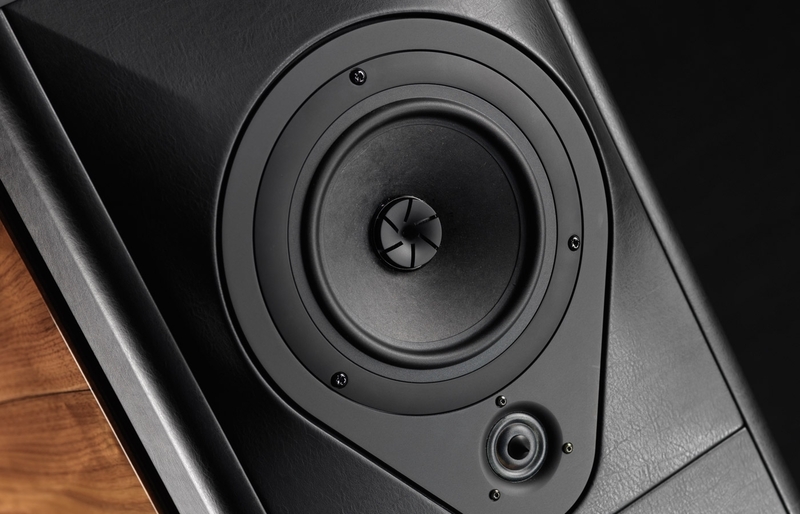 The same way as the tweeter, the midrange is decoupled from the main baffle board. 260 mm woofers with a “sandwich” cone structure, high-tech syntactic foam core and two external surface skins of coated cellulose pulp. Designed to blend perfectly with the special midrange, and at the same time to have absolute definition in their range: the sandwich structure with outer paper pulp skins has the same sonic character of the midrange cone. 3” voice-coils on Kapton former allow an unlimited dynamic performance and low hysteresis. 380 mm infra woofer sandwich cone structure with high-tech syntactic foam core and two external surface skins in nano carbon fibre for maximum rigidity and light weight. 4” voice-coil optimized to have progressive damping, through the use of both Kapton and Avional in the former, to control the Lorentz currents proportionally to the excursion obtaining this way the tightest available lows. To perfectly match the low-end performance to different listening rooms it is possible to adapt the SPL of the infra woofer. 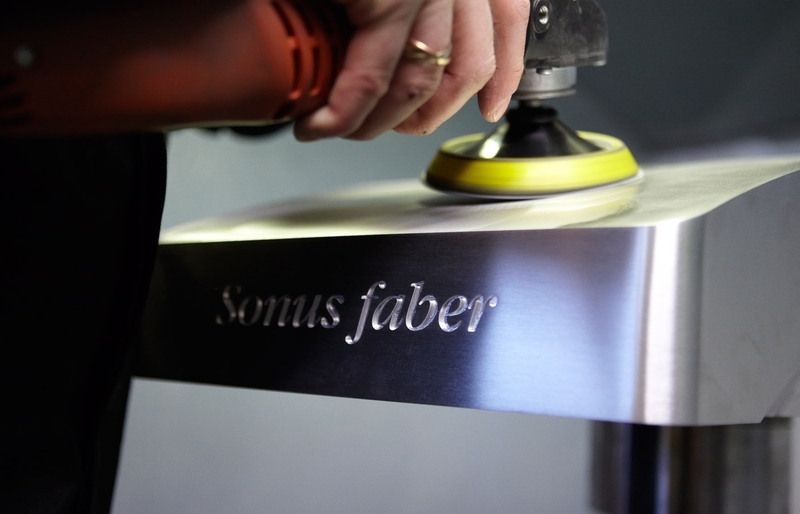 Special patented Sound Field Shaping technology allows the control of the direct/reverberant radiation of the Sonus faber. The sound field shaping module can be optimized in terms of azimuth and SPL. 29 mm ultra dynamic linearity neodymium ring radiator dome derivative driver. Optimized off-axis radiation for this special application. 120 mm neodymium hexadyne magnet system, paper pulp/papyrus/natural fiber cone driver, as used for the front midrange. 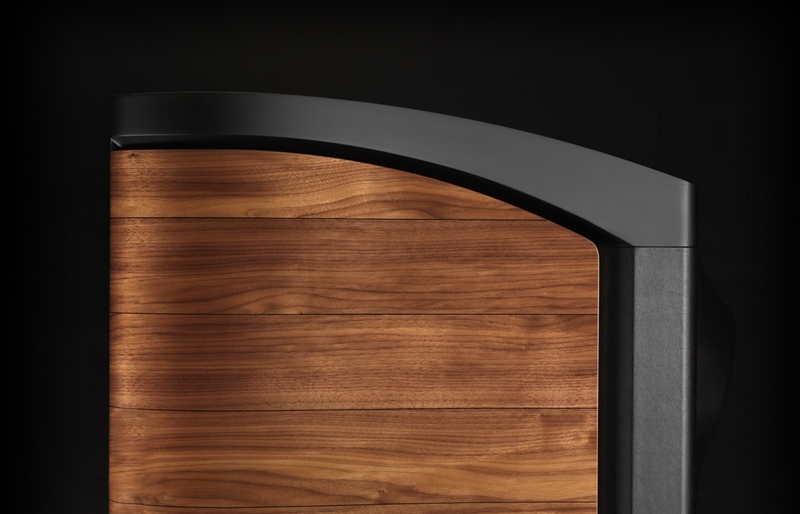 It is a classic Sonus faber choice, a 4th generation derivative of the unit used on the original Minima. Non-resonant progressive slope design, optimized amplitude/phase response for optimal space/time performance. The impedance at low frequencies is controlled for a clear and amplifier friendly performance. Maximum quality is used in terms of the components: mundorf Silver/Gold/oil capacitors, Jantzen Cross coil inductors. 18Hz – 36000Hz, Stealth reflex included. 742 Kg per pair – shipping weight.